Since our YouTube page had been sitting around doing nothing for a couple of years, we decided to completely start over and update our page with a bunch of fun, new slideshows. There are a lot of Engagement Sessions on there as well as some Senior Portrait shoots. We also have some Family Portraits and a few Wedding slideshows (with much more to come!). If you see your shoot on there, this is an easy way to share with family and friends. And, subscribe to our channel to get updates on what’s new! 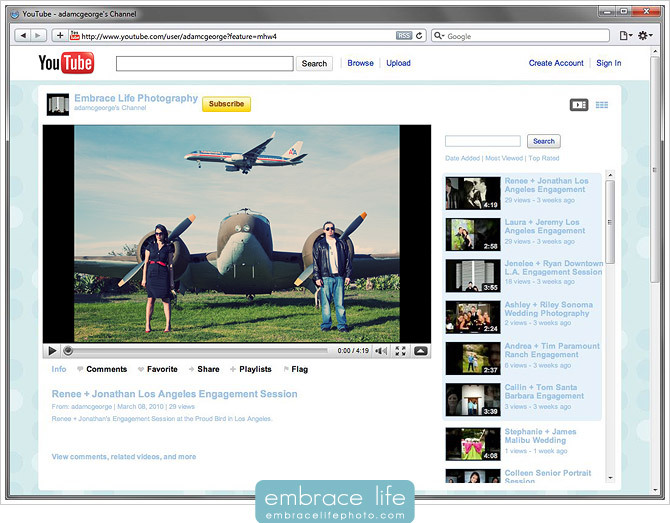 Check out our YouTube Channel to see Wedding, Engagement and Portrait Slideshows!